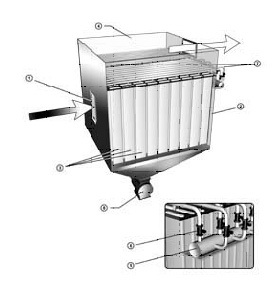 Bag filter with a pulse controller designed to clear the air of any fine dry noncoherent Dust.The filters have a built-in mechanism regeneration pulse scavenging air.Filter element is a sleeve on metal frames. Can be used in the production of a continuous cycle: woodworking, construction materials, foundries, fertilizer, etc. to capture fine dry noncoherent Dust. Filters can be equipped with fan and air; cart-Dust Bags; locked-chamber transfer enabling continuous discharge of captured product bunkerom-drive with the sliding gate; cyclone-discharge to utilize a filter at concentrations up to 500g/m3. 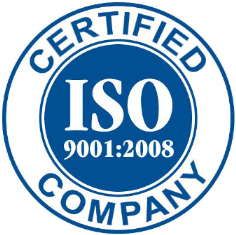 In the event of a return purified air into the room could complete control stage treatment. The principle of the bag filter is based on the capture dust filter cloth in passing through it dustiness air. As the thickness of the layer of dust on the surface of branches growing resistance movement of air and reduces the capacity of the filter to avoid making an regeneration dusty sleeves burst of compressed air. Dust-filled air enters the bag filter on the air through the tube into the chamber "dusty air" and passes through the sleeves, the particles of dust caught in their outer surface, and purified air enters the chamber "clean" air and has a filter. By cell "dusty air" and compressed air receiver connected with the electromagnetic valves. 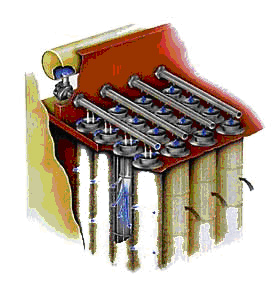 The air from the receiver through the electromagnetic valve goes to purge the pipe. 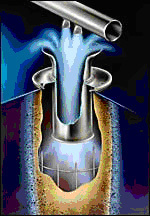 Regeneration dusty sleeves in the bag filter is implemented pulse of compressed air. The dust shaking off with sleeves, crumble into the bunker and after unloading device is removed from the filter. A cleaning process is controlled automatically from the control panel. As pressure drop- pulse blow activated when the differential pressure filter exceeds the value defined in the startup. The continuous regeneration - pulse blasting performed regularly raised in intervals. The flow of clean gas, nom.-max. Copyright © Recycle Eko Start. All Rights Reserved.